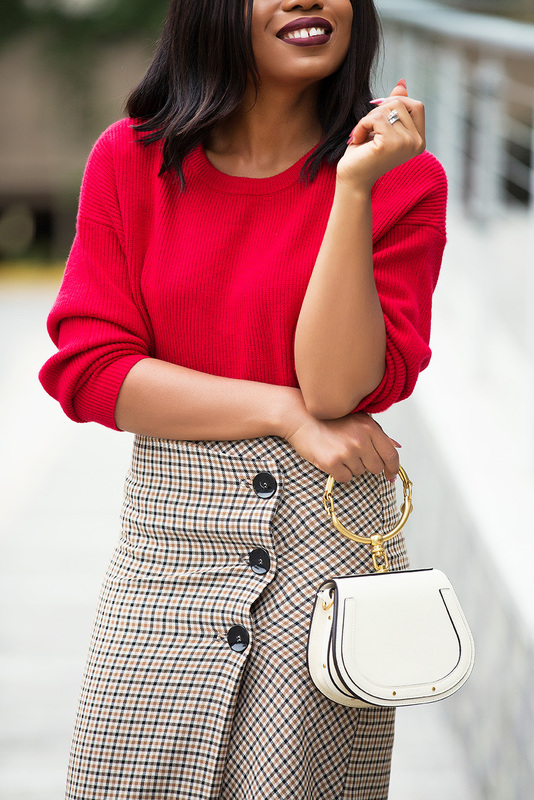 There are two ways that you can style this check print wrap skirt this fall. One of the ways is with classic pumps. The pointy-toe pumps adds a classy feel to the skirt and overall look. The other way is with ankle boots. With the cooler temperatures, ankle boots makes for a great look when styling skirts and dresses. This sock boots adds an edgy feel to the look. Sock ankle boots are a must-have this fall/winter season. 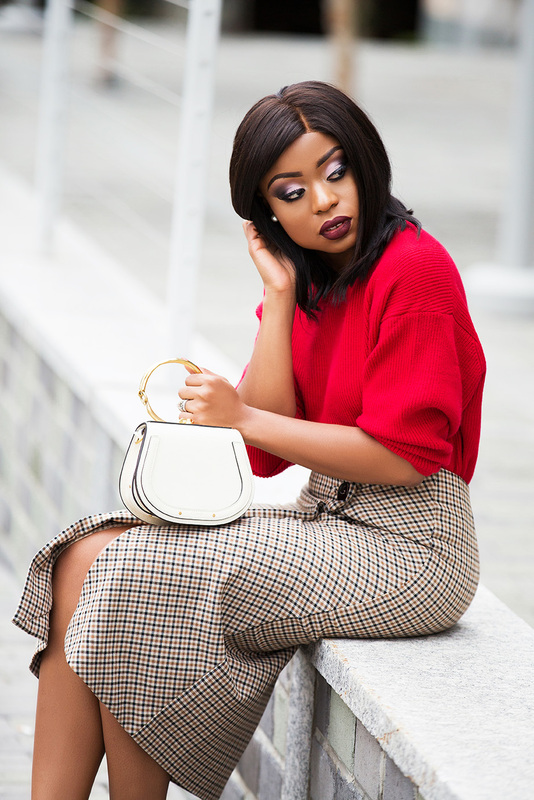 Since sweater weather has commenced and the holiday is around the corner, red sweater was the right color to style with the check wrap skirt. This look will be great for upcoming holiday event or date look this fall. I love the wrap skirt. I have not made one in a long time. Thanks for the great idea, it looks great on you.